Radio controlled aircraft, electronics, radio, computers, 3D printing, all things technical. 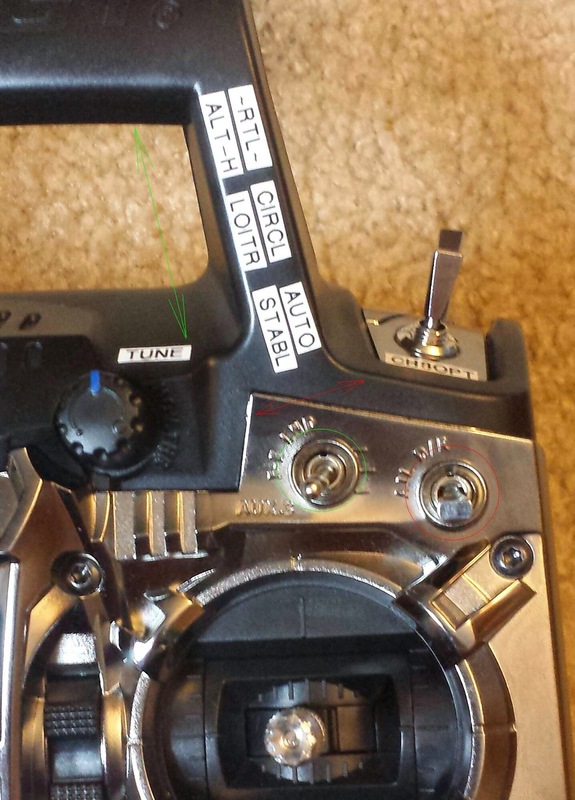 I recommend setting Stabilize mode with both switches in the down position, and Return To Launch (RTL) with both switches in the full up position...keeping RTL easy to initiate is a necessity when things get out of control. Create 6 custom switches with input from two switches (one 3 position switch, and a 2 position switch). The 'and' operator will set each custom switch active when both of the input switches are active. Each of these custom switches will then set a particular PPM value on the output channel once we configure the mix. 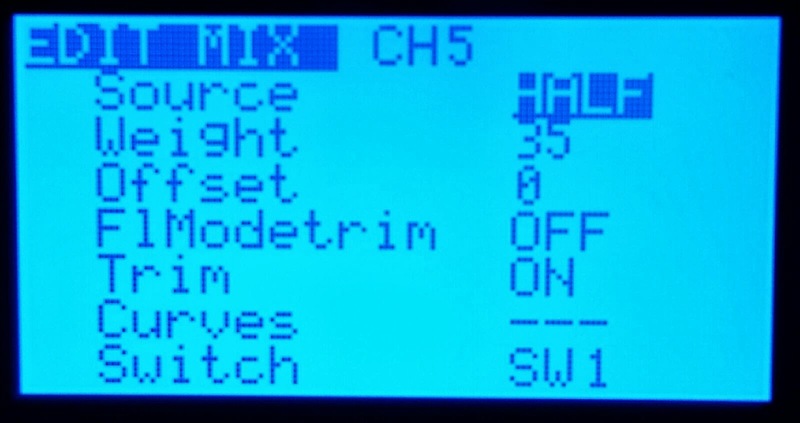 The APM uses channel 5 for the flight modes. Six mixes will need to be added, one for each custom switch created. 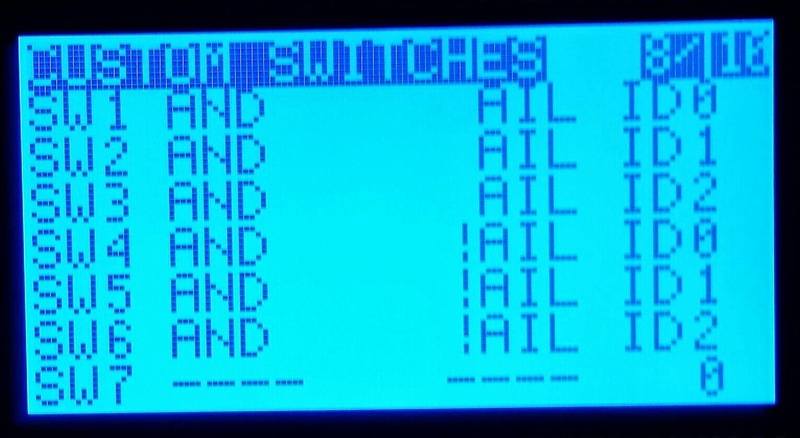 Set each mix as follows, adjusting the 'weight' and 'switch' appropriately. 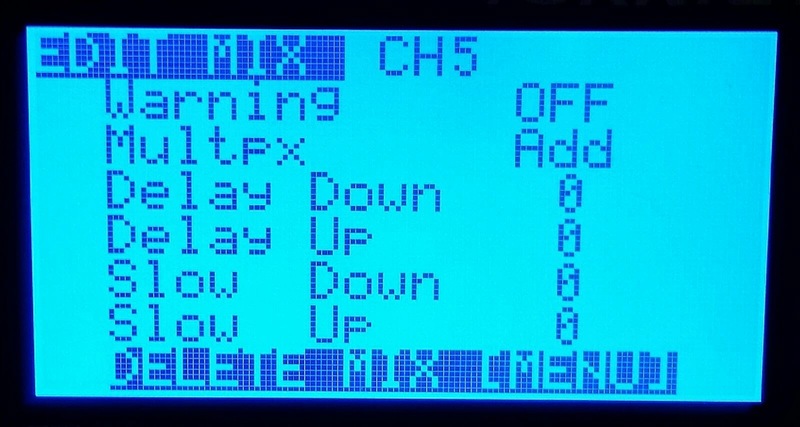 Adjust the weight of each of the 6 mixes on channel 5 for each flight mode. 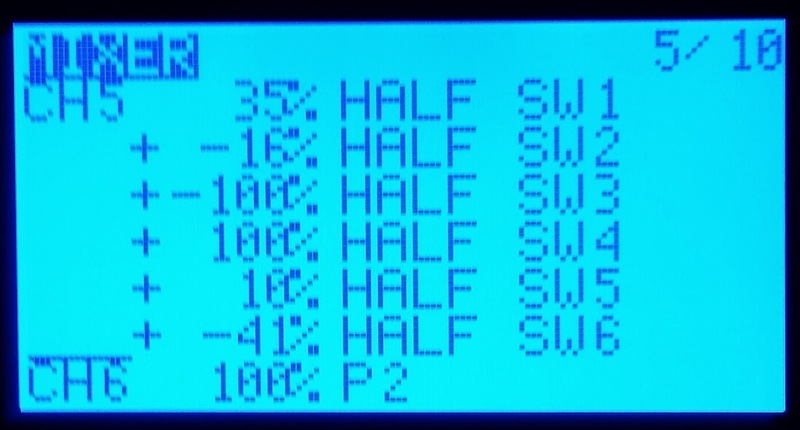 For the APM 2.6, these are the values you should aim for when setting each mode: 992 (something significantly lower than 1230 will do), 1296, 1426, 1556, 1685, 2017 (something significantly over 1750 will do). The PPM value can be monitored in the radio calibration window in the APM Planner software.